These are not your average lily. They only grow in counties in south Georgia and north Florida along the state line, and maybe a few counties in Alabama. 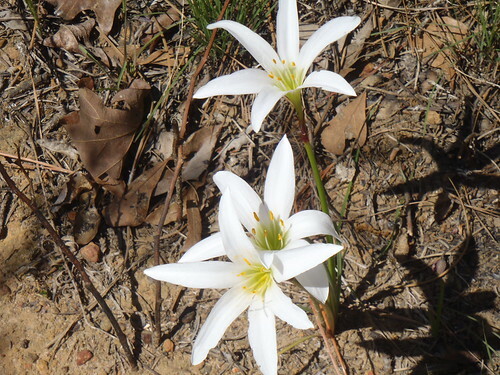 They're Treat's rain lily, Zephyranthes atamasca var. treateiae. It's actually an amaryllis. You may know them as "those lilies you see in the ditch by the road." More pictures in the flickr set. Pictures by John S. Quarterman, Lowndes County, Georgia, 17 March 2011. Also pictures from previous years.